Wiki commonsRussian anti-submarine ship Severomorsk. A squadron of ships from Russia's Northern Fleet is currently conducting drills in the English Channel, according to Russian media. 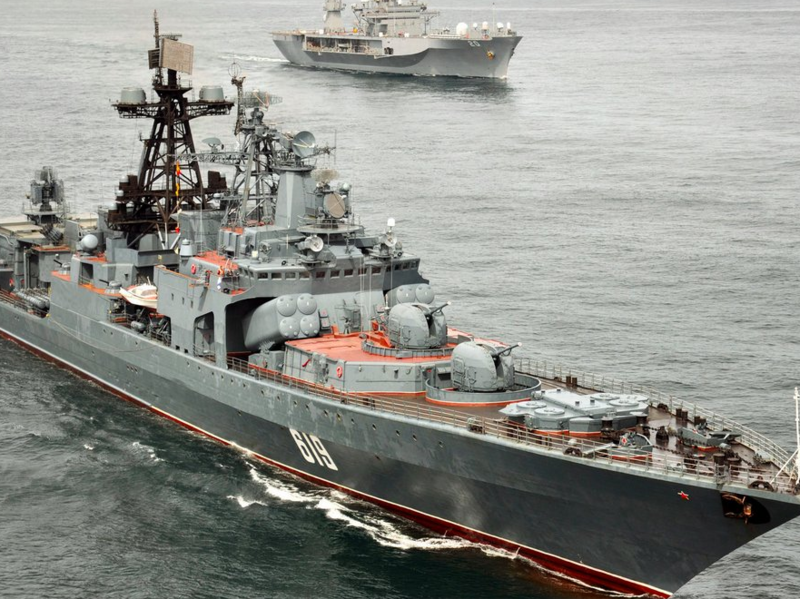 The squadron, lead by the Udaloy-class destroyer Severomorsk and including the Alexander Otrakovsky amphibious ship and a tanker, are conducting exercises including assisting a vessel in distress, communication training and transferring fuel in international waters. "Today, a squadron of ships and support vessels from the Northern Flee have passed the narrowest part of the English Channel in the Strait of Dover and have entered a bay near the mouth of the Seine River." State-owned news-wire Sputnik news reports that due to bad weather the ships are remaining in the bay until the storm passes.